Installed B post vinyl, the little triangle pieces and the sill carpet. Skinner interior and wool carpet kit. Impressed with the quality so far! On Saturday local club member Dave installed my Advanced Auto Wire headlight relay kit and Lucas H4 halogen headlights. TR250 came along too. It is a really robust kit with wires twice as thick as stock. I would have thought it would have taken us 2-3 hours, but as things go, it took many more. So many more that I am not going to to say how many. This was a learning experience for me as I had never done a proper auto wire installation before. I have seen a lot of members put the Moss relay kit down along the inner fender. Advance's kit has fuses to the headlights and due to the size, I didn't see how that would happen. So I put them on top of the footwell. FYI, the big red wire goes to the amp in the trunk. The red and black fuse holder on the right goes to the overdrive. Here are two pics of the wires wrapped in heat shrink and routed along the stock wires. I live on the edge of civilization and drove on the country roads last night after dark. Wow. The high beams shoot way down the road, I would say farther and wider at the end than my Silverado, but they aren't as wide right up close to the car. I give this upgrade 4 Newcastles. 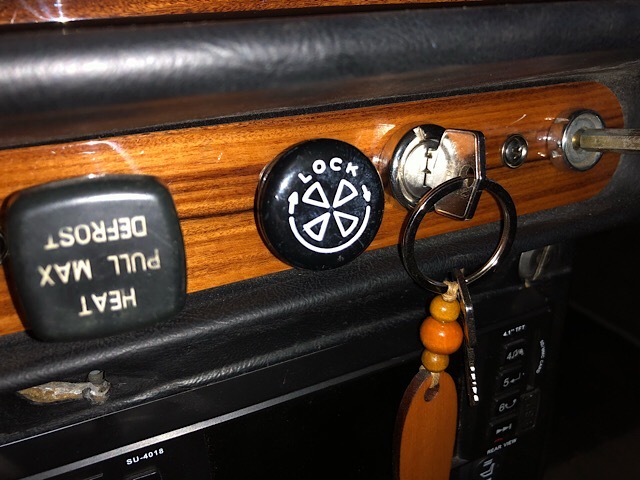 I finished my conversion back to lever shocks yesterday and took the car out for a couple of errands and dinner out. 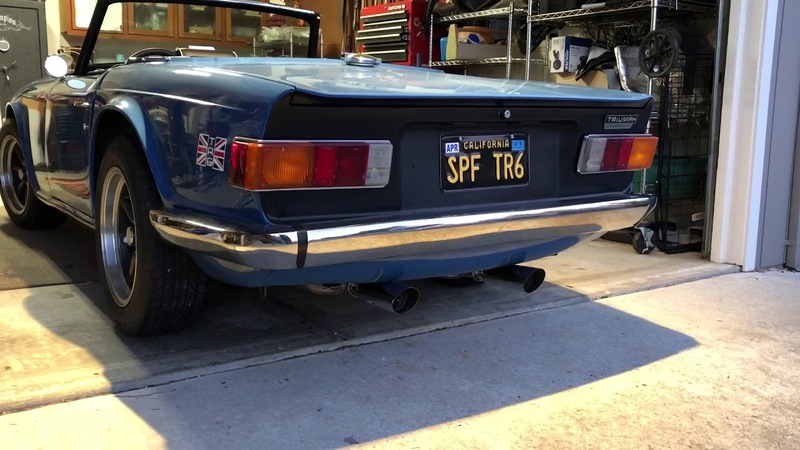 My car came to me with a tube shock conversion, so i didn't have a good baseline for TR6 handling, but the rear end has always felt like a brick to me. Got rebuilt shocks from World Wide Auto Parts in Madison, plus shock links and all new limit bumpers. The ride is a lot nicer, way softer over small bumps but not springy. It feels like the rear suspension is finally doing something, and it's about 75% quieter over rougher roads, with a lot less body rattling. I don't drive that hard and wasn't too worried about frame damage, but the ride quality upgrade was well worth the change. Last edited by frostr6; 11-02-2018, 03:33 PM. the response is "But, Of Course/Mais Oui". Pretty much my experience, too. Although I knew the geometry for tube shocks didn't work, I postponed going back to levers for quite a few years, until the SPAX shocks, followed by the KYB experiment, began to develop their own problems....then I stopped procrastinating. In any case, yesterday got Mr. T out for a quick run 40-50 mile round trip down the 101. Boy had an off season scrimmage Baseball game, and he and I took Mr. T for the trip. First fire with the new battery. Starter spun well and Mr. T. fired right up. Temps were in the 90s, so the T-Stat-switch and eFan combo checked out. Here's a pic "Straight up and Down" (Speedo/Tach synch) with all systems (Nominal) go! Last edited by tr6harris; 11-04-2018, 11:15 PM. Beautiful dash & pic, Ken. Although when I read "First fire..." my heart skipped a beat. That is one glossy dash you've got there! I searched the forum a little bit to see if you previously posted a description of it (just searching for "dash" in postings by you -- not very thorough), but couldn't find a description. What's your story on the dash, and did you finish it yourself? How many coats of finish? The original finish on my 46-year old dash started cracking a few years ago, and I finally need to do something. Those gauges look great, too. Thanks guys. Sorry for the false alarm Sapphire. Re-reading it, I can see how that might hit you first react......! No fire, but fired right up! wbwood - No details on the dash. I is one of the things that my FIL had done before we biught it back from him. Gloss is out of spec/not concours. I think the original is more muted satin or matte. Whomever did it, did ok, but it has issues, like the cubby box door and hinge isnt well aligned. One daye we'll get arounf to sending or taking it to Madera Concepts up the road from us to get it all lined up. Last cruise for the season. I also made a video but photobucket doesn’t work anymore and not sure if I want to upload to YouTube. New cams and exhaust really woke this thing up. 5 going on 6 years. I finally put the Triumph to bed for the winter, only 2 days too late to avoid our first snow and cold snap. It was a really fun driving season this year, hated to have it end. I only have a 1 1/2 car garage, but since the TR6 and our Honda are both small, they both fit. TR6, Honda & bikes- very sensible. Thanks, it works great for us, though I sure wouldn’t mind a bigger and warmer shop this time of year. Starting overhaul of rear suspension, right rear removed today. Replacing bushings with nylatron, installing adjustable trailing arm mount, replacing u joints as required, replacing brake hoses with SS, replacing brake wheel cylinders, converting back to rebuilt lever shocks and installing R Good shock links. Added resonator exhaust tips from Stainless Works. These are sized to fit the 2" pipes from the Bell Sport System I installed about two years ago. The placement of the tips well below the rear valance has helped attenuate the amount of exhaust gas sucked back into the passenger area. Even better, the exhaust note is more bearable with the elimination of the higher pitched tones. Added custom choke kit to the Mikuni conversion; supplied by Vintage Performace, who makes the carb conversion. The trick with this design is to reverse the direction of the 'pull' due to the orientation of the choke toward the front of the car. Combined with the old style twist-to-lock choke pull, the system works reliably. Built a hardtop storage rack out of scrap material. The plans I found here were simple to follow. Since I am finishing my pole barn I had plenty of scrap lumber to use. Now if I can only finish the interior of the building I can finally start to disassemble the parts car I bought a few years ago. I added LED dash lights......looks great except the charging circuit did not work and the ignition warning light was on. Had a minor heart attack...….then replaced the LED ignition light with the incandescent bulb, and OK now all is good!!! Scott in CA next on to the O/D install!